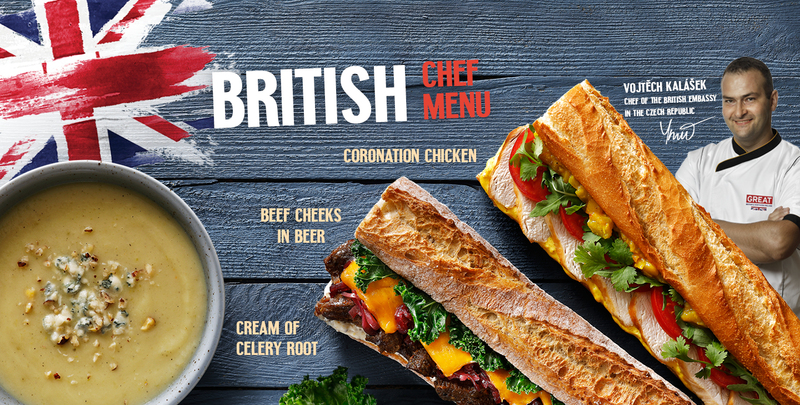 British Embassy in Prague reccommends to celebrate the 100th Czech Statehood Day with culinary pearls of insular cuisine. 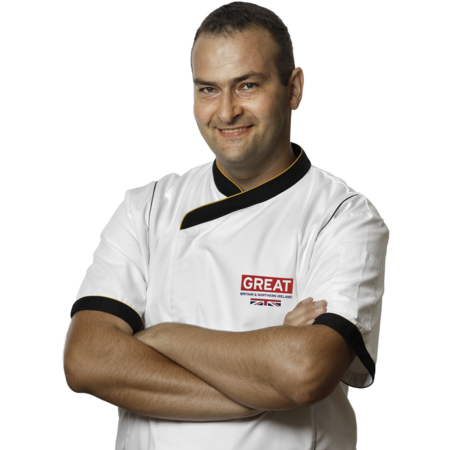 Our British Chef Menu couldn't have been put together by a person more qualified – Chef of the British Embassy kitchen, Vojtěch Kalášek. Vojtěch had spent seven years collecting experience in England and Ireland. This is his sixth year as the Chef of the British Embassy in Prague and he's had many opportunities to cook for a long line of prestigious guests. Among others, his culinary talents were appreciated by members of the Royal Family – Prince Edward and his spouse Sophie, the Duchess of Wessex. British Chef Menu will delight anyone who enjoys original ingredients and honest cooking. You can look forward to beetroot, black beer, cheddar cheese, and a slightly extravagant mango chutney. Coronation chicken originates from a recipe that was first introduced to the world during the coronation of the Queen Elizabeth II. in 1953. It balances flavors of lightly poached chicken , curry, mango chutney, tomatoes, cilantro, and arugula. Beef cheeks in beer are the right baguette for inhospitable autumn weather. Cheeks roasted in black English beer will raise your spirits during urban adventures, but you're certainly welcome to pack it for marshes and moors of south-western England. With fragrant caramelized onion, kale and melted cheddar. Yum! The promise of original flavors can be found in the cream of celery root. This thick soup is topped with blue cheese and hazelnuts. For those not deterred by the cold weather from watching their weight - two options are available to you from our Fit Calories menu. Candied beetroot can be a great snack, or a small lunch. Candied, baked beetroot with sheep cheese takes the lead role inside pumpkinseed bread. All is completed with leaves of arugula. 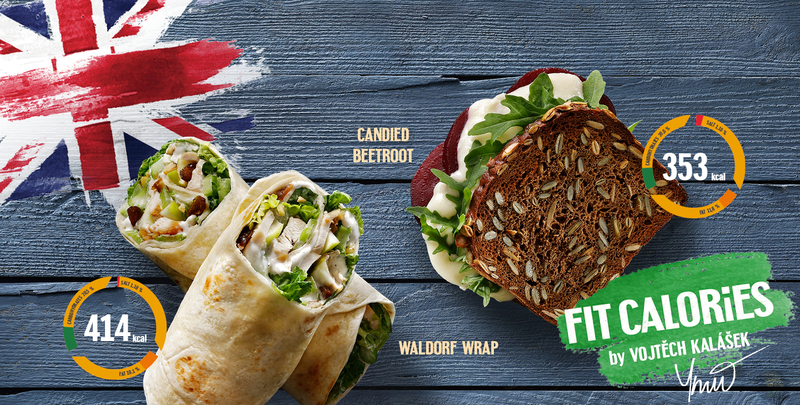 Waldorf wrap is full of flavors. Modern variation on the well-known salad recipe is made of chicken meat, celery, apples, raisins, little gem salad, walnuts and dressing.